Yes, please. 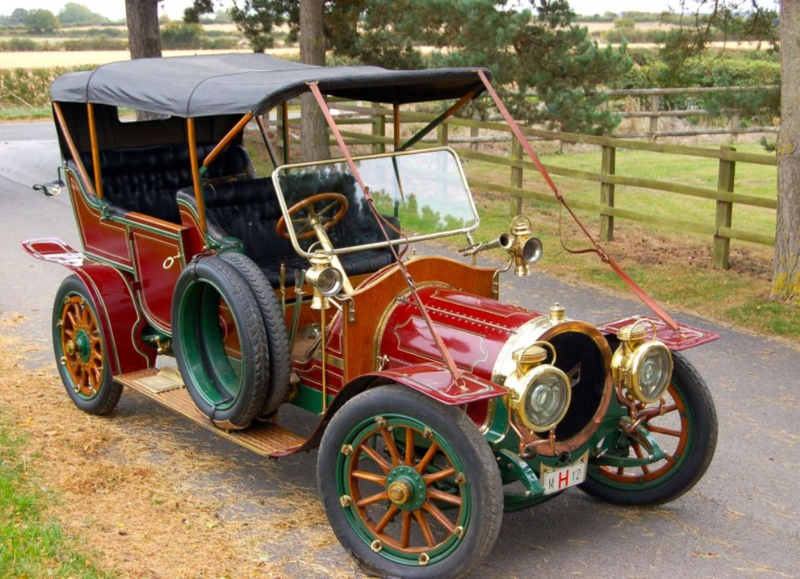 What’s not to love about a round grille, pre-WWI French touring car? Especially one that is finished in red, green, wood, and brass. Delaunay-Belleville was founded in 1903 and they quickly became a premier French luxury marque. They were the choice cars for some of Europe’s top kings of the time. Power is from a 4.8-liter straight-four rated at 22 taxable horsepower when new. It’s a big tourer, but the French weren’t exactly known for stuffing big engines in their cars (then or now). Gotta love a car whose windshield doesn’t extend up to meet the top, so the top is instead anchored to the front fenders with leather straps. Only about 100 HB4 cars were produced by the factory and only a handful remain. This one has known history back to the 1970s. Delaunay-Belleville actually lasted until the late 1940s, but cars from this pre-WWI era were their finest work. This one should bring between $105,000-$140,000. Click here for more info and here for more from this sale.